How well have you started? In its bid to produce next generation of purpose-driven leaders, The Impact Leaders Club, University of Lagos has inducted new members. 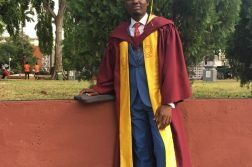 The induction which took place on the 3rd of February 2017 at the Faculty of Engineering had in attendance the President, Secretary General, other Executives of the club and the inductees. 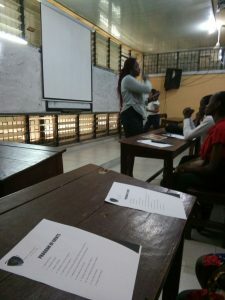 While welcoming the new members, the President of the Club, Miss Bisola stressed that the club is a formal organization and members should adhere to the formal setting. Speaking on the code of conduct, Mr Lawal Abiola emphasized more on integrity, team work, and charity. 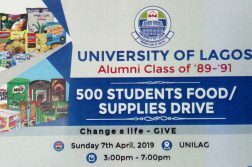 The Impact Leader Club, UNILAG is a protégé of a bigger not-for-profit organization, the Impact Your World Leadership Initiative(IYWLI). The vision of the Impact Your World Leadership Initiative(IYWLI) is to raise purpose-driven leaders in the Nigerian Youth, who will eventually transform the Nigerian society into the haven it is meant to be. April 14, 2019 How well have you started? Copyright © 2016 The Press Club, UNILAG. All rights reserved.